Coronation Street will bring back Jim McDonald. Upon return he'll be serving time for armed robbery. Jim is played by Charlie Lawson; he'll begin filming in June and return to the screen later in the year. 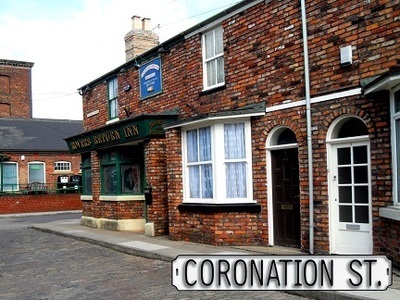 I began watching Coronation Street when we were stationed in England in 1960...so that was a long time ago. It was about Bootsie, Smudge; their antics and friends at the Pub back then. I watched for the 3 years we were over there and returned to the US. Took a trip to Scotland in 2009 to trace my found roots and to my shock when I turned on the 'tele' to see what was on, there was Coronation Street STILL on after all this time!! I am hoping to get it online to start watching again here. Love the Brit-coms and all things of the UK. I like Jim, who I find sincere and loving towards his family, and will be happy upon his return to Coronation Street.